It is common for Internet service providers to assigns a dynamic IP address to the Internet connections they provide. This means that if your modem restarts, it is likely that the ISP will assign you a different IP address than the one that was previously assigned. Some ISPs offer upgrades to static IP addresses which means that your IP address never changes. This makes setting up remote access to IP cameras simpler because it eliminates the need to use a dynamic DNS service. If your ISP does not offer static IP addresses or it is not cost effective to upgrade to one, there is an alternative solution to this problem which is using a dynamic DNS service, also known as DDNS and DynDNS. 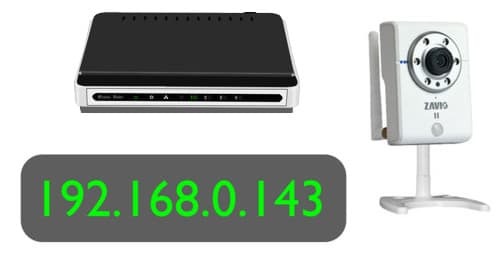 DDNS service allows you to choose a hostname, such as mydvr.dyndns.org that gets mapped to the IP address of your internet connection. When and if your IP address changes, the hostname will automatically point to the new IP address. So, you never have to worry about keeping track of a changing IP address. Zavio IP cameras are integrated with the following DDNS providers. The most popular of these is Dyn and these instructions will cover the setup with them. However, the process is basically the same for all DDNS providers. 6. Now that this is set up you will be able to access your Zavio IP Camera using the Hostname you created. So instead of using the IP Address, you will use the Hostname.